We’d love your help. Let us know what’s wrong with this preview of Dying for a Cupcake by Denise Swanson. To ask other readers questions about Dying for a Cupcake, please sign up. "Dev". Deveraux. Sinclair runs the dime store in Shadow Bend, Missouri and has agreed to host a cupcake competition in her store. Kizzy Cutler is the "cupcake queen" and will be running the competiton. However, before the event even starts, Kizzy's assistant dies from a mysterious illness. Poisoned? Kizzy determines that the show must go on even after the death. Kizzy herself has several near misses of someone trying to do her in. Dev believes that someone in Shadow Bend has it in for Kizzy. But "Dev". Deveraux. Sinclair runs the dime store in Shadow Bend, Missouri and has agreed to host a cupcake competition in her store. Kizzy Cutler is the "cupcake queen" and will be running the competiton. However, before the event even starts, Kizzy's assistant dies from a mysterious illness. Poisoned? Kizzy determines that the show must go on even after the death. Kizzy herself has several near misses of someone trying to do her in. Dev believes that someone in Shadow Bend has it in for Kizzy. But who? What secrets from her past are coming back to haunt Kizzy? Dev works feverishly to figure out who has done this. Denise reeled me right in, she has been posted cupcakes on her Facebook page for weeks and had me drooling to read this book. In this 4th installment to this fun series Shadow Bend welcomes former resident, now the Cupcake Queen, Kizzy Cutler, and a weekend of fun as a contest is held to find her newest cupcake creation. The 10 contestants arrive along with Kizzy and her entourage. But before the first cupcake is baked Kizzy’s assistant dies and it doesn’t appear to be from natural causes. As the investigation gets underway Kizzy announces the weekend festivities will continue. That makes someone very unhappy as Kizzy has several dramatic experiences. Dev starts to think the assistant wasn’t the one that was suppose to die. She believes someone is targeting Kizzy and it may have to do with something that happened in Shadow Bend more than 20 years ago. The makes for one sweet mystery! Dev runs the local five and dime and her father recently released from prison helps her out at the store. This time the men Dev is dating are both out of town. Dr. Noah is volunteering overseas for a couple of weeks and Deputy U.S. Marshall Jake is off investigating a case that involves his ex-wife. Enter the new fire chief with a pizza and Dev romantic life gets a lit more complicated. What a fun read! We have the characters we already love, a new one to hate, plus a hunky new one that I know if going to cause havoc. Kizzy was a piece of work in high school, today we call them bullies. No wonder someone wants her gone. The mystery was one that keeps us guessing and I can’t tell you more without ruining the story but it is really good. Denise Swanson is a pro at blending mystery and romance with the perfect amount of humor. I loved this story! This is a fantastic addition to this entertaining series. The author sets up the next story too whetting our appetite for next year. I can’t tell you how much I love this series. I wish I was Dev. The author wrote the characters so well. In this book, it kept you guessing until the end. You would not guess the killer until the very end. Again, amazing and I’m on to the next book in this series today. Probably my favorite of the Dime Store cozy mysteries so far. A really well done mystery with fun characters and a good resolution. I felt like I learned something about some of the characters, and Swanson introduced a few new characters that have potential. Plus, the ending sets up plenty additional conflict to come. I tend to rate these a bit higher, perhaps, because of Swanson's Scumble River series, which is set basically in my home town. But this series has proven with this one that it can s Probably my favorite of the Dime Store cozy mysteries so far. A really well done mystery with fun characters and a good resolution. I felt like I learned something about some of the characters, and Swanson introduced a few new characters that have potential. Plus, the ending sets up plenty additional conflict to come. Denise Swanson is a pro when it comes to cozy mysteries. Her, latest book, Dying for a cupcake is the fourth book in her Devereaux's Dime Story Mystery series with features a strong female lead character that is looking for more than your average clue. Dev Sinclair has a keen eye when it comes to solving crime and in this latest installment of the series, it's all in the cupcakes. With a mouthwatering theme and a little bit of murder, this a great addition to the series! Swanson never disappoints Denise Swanson is a pro when it comes to cozy mysteries. Her, latest book, Dying for a cupcake is the fourth book in her Devereaux's Dime Story Mystery series with features a strong female lead character that is looking for more than your average clue. Dev Sinclair has a keen eye when it comes to solving crime and in this latest installment of the series, it's all in the cupcakes. With a mouthwatering theme and a little bit of murder, this a great addition to the series! Swanson never disappoints when it comes to a good mystery, but in this case readers get that and a whole lot more. Not only is there mystery and suspense in Dying for a Cupcake but readers get the added bonus of a little romance and a whole lot of amazing cupcakes. Yummy, yummy! I liked the premise of the story and since my daughter wants to own and operate her own bakery one day, this one hit a sweet spot for me. Swanson set up the novel carefully and allowed the theme to permeate the book. A great idea for a cozy. Dev is once again, a very clever heroine. I loved watching her get down to the business of investigating. She looks at all the possibilities and draws so much from those around her and clues that maybe most sleuths would never find. I always feel with her that readers are getting a much different perspective than in most cozy heroines. Much like Swanson writing, Dev is unique and surprising. I liked the touch of romance in her life this time and can't wait to see where that goes. Kizzy is back in town but apparently not everybody is glad to see her. I liked the whole bad girl returns to town after a long hiatus, theme Swanson has going on. Readers are instantly trying to figure out what she did. Why she left. And most importantly, why she came back? There were questions on top of questions but Swanson did a good job of keeping her writing on point. The suspects start to mount and things really get out of hand, but I loved every minute of the chaos. I just couldn't resist picking up this book. Judging by the catchy title, Dying for A Cupcake was just what this cupcake murder mystery lover wanted to read. Kizzy Cutler is a "cupcake queen" a celebrity gourmet cupcake queen, she has after many years of being away from her hometown of Shadow Bend, Missouri. She is back for a cupcake competition to kick off her latest line of cupakes and is welcomed back to town with open arms and many sweet tooths. Just when things are going well for the "Cupcak I just couldn't resist picking up this book. Judging by the catchy title, Dying for A Cupcake was just what this cupcake murder mystery lover wanted to read. Kizzy Cutler is a "cupcake queen" a celebrity gourmet cupcake queen, she has after many years of being away from her hometown of Shadow Bend, Missouri. She is back for a cupcake competition to kick off her latest line of cupakes and is welcomed back to town with open arms and many sweet tooths. Just when things are going well for the "Cupcake Queen" her assistant, Fallon is discovered murdered under mysterious circumstances. The self assured cupcake queen pushes on, undeterred by Fallon's murder. Soon it is clear as day that Kizzy is this killers true target. Dev is the proprietor of Deveraux's Dime store and agrees to have some of the what the business owners and friends of Deb's dub "The Cupcake Weekend" events there. After a near hit and run and then a attempt on Kizzy's life and arson at Dev's Dime Store, it seems that someone has it in for "The Cupcake Queen". Dev then decides to try to help the police along in finding someone who has already murdered. Then suspects start to surface and as Dev checks them all out she quickly discovers someone who felt it was their duty to kill Kizzy and even the score. This was the first book I read in this series and I know I chose the best one. This a winner for cupcake lovers. Dev is a character that felt like a little reflection of me. Even by the picture on the cover I thought somewhat looked like me. With her complicated love life, a little romance and sometimes indecisiveness about men. Very engaging and top notch fast paced writing. I could easily picture myself in this small town as I was reading. I was so eager to find out who the cupcake culprit was and had a inkling of sympathy for the killer as the person was revealed. Dying for a Cupcake is the fourth book in the A Devereaux's Dime Store Mystery series. A cupcake bake-off is coming to Shadow Bend to introduce the line of cupcakes of Kizzy Cutler. Kizzy grew up in Shadow Bend and was not, for the most part, really liked. But Dev is willing to put the past behind her and have a successful competition and introduction at her Five and Dime store. But before anything really gets started, Kizzy assistant, Fallon, dies. It is determined that she was poisoned and it no Dying for a Cupcake is the fourth book in the A Devereaux's Dime Store Mystery series. But before anything really gets started, Kizzy assistant, Fallon, dies. It is determined that she was poisoned and it not clear as the who or why she was murdered. Later, as Dev and Kizzy are walking to their cars an out of control driver heads directly for them, at the last second Dev is able to push Kizzy out of the way. Dev, having her ears tuned into conversations of the attendees, she beginning to suspect that Kizzy is the target, but who is what she has to learn. There seems to discord among the contestants, plus there some friends from her high school days that aren't happy to see her back in town and being successful. Dev desperately misses having Jake and Noah, her boyfriends, around. For the obvious reason of course, but also that they are always there for her to bounce the things that she has uncovered in her sleuthing. Shadow Bend has recently hired a new “hunky” fire chief and he kindly agrees to help with Dev's sleuthing. Will Dev be going for a three-fer. Head on over to Shadow Bend and catch up with Dev and her friends. They are busy preparing for the cupcake contest that is soon to take place. When Fallon, Kizzy's assistant is killed, it brings the preperations come to a stop. Kizzy is determined to win and doesn't want the death to put a hold on the events and that makes the others think she has something to do with it. Dev and her friends have to do what they can to find out who killed Fallon and stop them before they strike again so the cupca Head on over to Shadow Bend and catch up with Dev and her friends. They are busy preparing for the cupcake contest that is soon to take place. When Fallon, Kizzy's assistant is killed, it brings the preperations come to a stop. Kizzy is determined to win and doesn't want the death to put a hold on the events and that makes the others think she has something to do with it. Dev and her friends have to do what they can to find out who killed Fallon and stop them before they strike again so the cupcake contest can resume. This delicious whodunit will be hard to put down. You will be hooked by the story line and the characters are so likable. I am eager to visit again and look forward to the next one. I have loved all the Devereaux's Dime Store Mysteries. But Dying for a Cupcake is my favorite. I enjoyed the storyline and with the new Fire Chief in town, I'm sure things will be heating up. I had absolutely no idea who the killer was until the end. It certainly wasn't who I thought it was. Absolutely recommend this series! Loved! This is a great cozy series! Absolutely love this series. I've been reading them nonstop and I can't wait to dive into the next one. The characters are wonderful and the murders are so fun/silly that these have me begging for more. I do like that this series is focusing more on the mysteries now and less on the romance aspect although the introduction of a third guy into the mix doesn't make the decision any more settled for Dev. Denise Swanson writes a hell of a mystery!!!!! Love Dev and friends and can picture the dime store in my mind every time something is mentioned about it. Enjoy the characters. Fun read. I think that I was expecting more from this book.I found it boorish and quite juevenile at times.It did have a surprise ending though,but with not much leading up to it. Nice cozi. Its fun to follow her characters from book to book. Loved the addition of Coop! Dev Sinclair settles in for another meeting amongst the business owners of Shadow Bend. Everyone is looking for a way to put a little extra cash in their pockets. Luckily, there seems to be a lucrative event in the works. Former resident, Kizzy Cutler, the Cupcake Queen, is back in town with her latest cupcake creation. To kick off her new flavor, Kizzy has agreed to host a cupcake baking contest, which will be held in Dev's dime store. Ev Three Stars: A cozy mystery with a believable storyline. 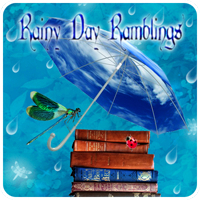 *A cozy mystery is always a nice way to cleanse the palate between reads. I reach for one after I have read several darker reads to lighten the mood. I always appreciate that cozies are quick, light, easy and fun. Even though this one lacked a bit of the cozy that I love, I liked that it had a good mystery that was actually believable. *Even though this is book four in the series, I was able to jump in without having read any of the others. The author does an excellent job of bringing the reader up to speed on all the important events. I never felt lost. This is easily a series you can pick up at any point. *Usually I prefer a cozy that is set in a bakeshop or restaurant as I like the food aspect. This one was a bit different in that it was set in a Dime Store. Even though I missed all the delectable food descriptions, I enjoyed the simple setting of the store, and I found myself settling into the comfortable atmosphere. *I appreciated that Dev was a level headed character who has been through her fair share of ups and downs. She was likable and smart and realistic. She isn't one of those cozy heroines who bumbles around and manages to solve the crime because the law enforcement is incompetent. Instead Dev works with the police and sounds ideas off friends that help her get to the bottom of the mystery. *When all was said and done, I liked the way it all played out. Usually with a cozy mystery, the reader has to strain to believe the way it all works out. This one had a more realistic feel to it, and I liked the motives for the crime. Bullying is an issue in the book, and I appreciated the way the author handled it. *The ending wraps up all the loose ends as far as the murder mystery goes while leaving plenty of the main overall story arcs undone. I got a complete story with one book. *The narration by Maia Guest was well done. I thought Maia did a good job with Dev and I liked her emotion. I will definitely pick up another audiobook by this narrator. *This series features an ongoing love triangle. While I wasn't up to speed on all the events that had transpired between the romantic interests, I was given enough detail to get the big picture. Luckily, both of the love interests were conveniently out of town and thus, out of the story for the most part. I was relieved that I was settling in with a mystery that was without the romance, until another male suitor pops into the picture. Face palm.... really? As if two men interested wasn't enough, you have to add in a third? The whole romance is ridiculous. *One of the boyfriends is out of town working on some type of sinister case with a murderer/psycho kidnapper. I didn't like this little story line, it was distracting and it had no bearing on the story. Furthermore, it took away from the coziness. Plus, the ending was weird. *I was excited to read this because I was looking forward to all the cupcakes. Unfortunately, the cupcake contest is only a small snippet of the story. I was expecting to read about all the yummy cupcakes and possibly get some cupcake recipes. That doesn't happen. There are hardly any mentions of cupcakes and no recipes. So if you are a cozy enthusiast who likes food in the cozies, this one will disappoint you. Dying for a Cupcake is the 4th in this amusing cozy series and I think the best yet! This is the second series written by Denise Swanson. I absolutely love her first one Scumble River Mysteries and this series is becoming one of my favorites as well. Devereaux Sinclair owns an old fashioned five and dime store in her home town, Shadow Bend, Missouri. She returned home not only to start anew but also to care for her grandmother. Now her father is home again as well and he is working at the store with Dev. Business is doing well with the additions Dev has made to the store. She can not however turn down an opportunity to make even more money. Kizzy Cutler is the cupcake queen returning to her home town to launch a new line of cupcakes and a competition is her desired way to set things off. Dev has agreed to have the competition in the upstairs of her store. Things do not get off to a wonderful start when Kizzy and the ladies involved meet up for dinner and a planning session. The cupcake queen is not a nice woman. Then her assistant dies in a mysterious way. Things continue to go from bad to worse and Dev wonders if Kizzy’s past in Shadow Bend may have something to do with the down hill slide of events. Dev is also dealing with her love life or lack of it since both of the men she is dating happen to be missing in action. She begins to wonder if either of them will ever be able to dedicate time and attention to her. As fire breaks out in her upstairs, a wonderful surprised comes with it. Coop may just be a better alternative to both of her wayward men. Between her love life and the mysteries surrounding the competition, Dev has her hands full. Even without either of her boyfriends being around. Good thing Dev has a wonderful cast of friends to help her in the search for answers. The cast of characters in Dying for a Cupcake are truly wonderful people. The setting, characters, storyline and writing are delightful. With each new book, Denise Swanson gives the reader more and more to enjoy and draws the reader further and further into this magnificent cozy series. The mystery itself was very well written and kept the reader guessing until the end. I would recommend this superb novel to any all cozy lovers, mystery fans and anyone enjoying a book load of fun!! I can not wait for the next in this series. Who knew cupcakes could be so deadly? When Dev is approached about using her shop for part of the cupcake judging festivities, she agrees because she knows it’ll be good for business. But after seeing Kizzy Cutler, the cupcake queen, in action- she has second thoughts. But a deal is a deal- and Dev knows that an event like this will be good for the town (and for Dev’s wallet). But from the get-go, there are problems. When Kizzy’s assistant dies- people wonder why. But, it could have been a number of things that caused her death. However, when Kizzy is almost hit by a car- Dev wonders if what killed Fallon was meant for Kizzy- and just how far the culprit will go to make Kizzy and her cupcakes disappear! Oh Dev… She’s got her hands full trying to find out who wants the Cupcake Queen dead- but not too full to meet the new fire chief… The HUNKY fire chief. Is this love triangle about to become a square? Time will tell. So, DYING FOR A CUPCAKE is adorable and sweet and something you should read when you are in the mood for a light read with a mystery that is not all gory and terrible. It does deal with a pretty timely issue- and makes you wonder about how much you have changed since high school! Not quite as much Boone and Poppy as I would like in DYING FOR A CUPCAKE- but the scenes they were in was great! All in all, another enjoyable addition to the Dime Shop series. *This book was sent to Traveling With T by the author for review consideration. All thoughts and opinions are mine alone. 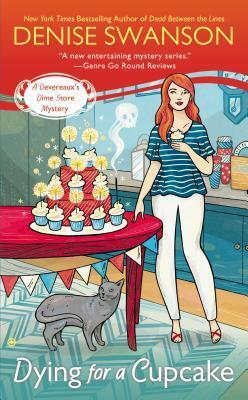 Dying for a Cupcake is the fourth book in the A Devereaux's Dime Store Mystery series by Denise Swanson. Devereaux “Dev” Sinclair runs an old fashioned five and dime store in her home town, Shadow Bend, Missouri. Dev returned to Shadow Bend to care for her grandmother and rebuild her life. Her father has, also, returned home after imprisonment and he is working at the store with Dev. Business is doing extremely well with the changes and additions Dev has made to the store. 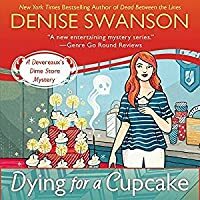 She is always seeking Dying for a Cupcake is the fourth book in the A Devereaux's Dime Store Mystery series by Denise Swanson. Devereaux “Dev” Sinclair runs an old fashioned five and dime store in her home town, Shadow Bend, Missouri. Dev returned to Shadow Bend to care for her grandmother and rebuild her life. Her father has, also, returned home after imprisonment and he is working at the store with Dev. Business is doing extremely well with the changes and additions Dev has made to the store. She is always seeking opportunities to make even more money. In this story Shadow Bend welcomes the Cupcake Queen, Kizzy Cutler, a former resident, hosting a weekend of fun with a contest to find her newest cupcake creation. The 10 contestants arrive along with Kizzy and her entourage. Before the first cupcake is baked Kizzy’s assistant dies and it doesn’t appear to be from natural causes as it is mysterious in nature. Kizzy demands that the show go on, complete with ridiculous rules. However, after several accidents/near misses occur, leading Dev to believe someone wants to kill the cupcake Queen. What made her leave Shadow Bend originally? What secret is she keeping? Is it so awful that someone wants her dead? Dev Sinclair has superb instincts when it comes to solving crime and in this latest tale of the series, it's all in the cupcakes. A great mouthwatering, culinary theme (the cupcakes leave the reader drooling) and a little bit of murder, lots of secrets and suspense making this a great addition to the series! This book has the perfect balance of mystery, romance and humor. Denise Swanson does a superb job of developing and maintaining the characters and the plots are well constructed so you can read it as a stand-alone and not feel lost. If you are a fan of cozy mysteries, you will enjoy spending time with Dev and her friends in Shadow Bend. This book is a great read and brings the reader on an adventure. I highly recommend this novel to any all cozy lovers. A pretty solid Dime Store read. This one takes place around the 4th of July, and Shadow Bend is playing host to Kizzy Cutler's Cupcake Weekend. Kizzy is a former Shadow Bender who has made it big in the cupcake world and has now returned home to launch a new flavor. Dev is about 28, I think, and Kizzy is about 10 years older, so Dev doesn't know the older woman from before, but she manages to be in the thick of all the action thanks to the local B&B owner, Ronni. Ronni has set up a committee A pretty solid Dime Store read. This one takes place around the 4th of July, and Shadow Bend is playing host to Kizzy Cutler's Cupcake Weekend. Kizzy is a former Shadow Bender who has made it big in the cupcake world and has now returned home to launch a new flavor. Dev is about 28, I think, and Kizzy is about 10 years older, so Dev doesn't know the older woman from before, but she manages to be in the thick of all the action thanks to the local B&B owner, Ronni. Ronni has set up a committee to help host Cupcake Weekend festivities, and the Dime Store is set to play a large role, hosting a few events. Our mystery behind when Kizzy's assistant, Fallon, (view spoiler)[is poisoned. It turns out that Kizzy was the intended target, due to her former mean girl ways in HS (and she honestly is still a witch). Dev figures out who the murderer is, becoming more involved after Kizzy was attacked at the Dime Store (hide spoiler)]. This was another great installment to the Deveraux's Dime Store Mystery series. Kizzy Cutler, a past resident of Shadow Bend, has hit the big time with her cupcakes and returns to her hometown to host a contest to discover her new flavor. Along the way, it seems someone has different plans for Kizzy and the wrong person ends up killed. I always enjoy this series by Swanson. The characters are interesting and amusing to say the least. Plus, Shadow Bend seems like such an interesting small town and This was another great installment to the Deveraux's Dime Store Mystery series. Kizzy Cutler, a past resident of Shadow Bend, has hit the big time with her cupcakes and returns to her hometown to host a contest to discover her new flavor. Along the way, it seems someone has different plans for Kizzy and the wrong person ends up killed. I always enjoy this series by Swanson. The characters are interesting and amusing to say the least. Plus, Shadow Bend seems like such an interesting small town and that is one of my favorite aspects about cozies in general. The mystery in the book is good and it wasn't until Dev started to figure out who was the culprit that I started to do the same. I really like that Swanson has written Dev as a somewhat flawed, "real" person and I am interested to see how the dynamic with her newly paroled father shapes up. However, not only is she torn between the two love interests in her life, but Swanson had to go and add a third. Now while I am finding myself quickly hopping on the firetruck and hoping Dev gives this new hunky fire chief a chance, it seems a tad unrealistic that she is going to be able to juggle three men for long. Swanson does a great job setting up for the next installment at the end of this book and I am glad it comes out soon so I don't have a long wait. If you enjoy cozies, this is definitely a series you should check out. A Goodreads giveaway book for me, this author has an established coterie of fans for her 1st mystery series, Scumble River. This book is the 4th in the Devereaux's Dime Store Mysterys, and the 1st book I have read by this author. Shades of Stephanie Plum, was my 1st impression, with two (2?!) understanding men vying for Dev's charms (and a decision), and an apparent nemesis. But the story moves along swiftly with plenty of things happening to keep the plot humming. Unfortunately, character develo A Goodreads giveaway book for me, this author has an established coterie of fans for her 1st mystery series, Scumble River. This book is the 4th in the Devereaux's Dime Store Mysterys, and the 1st book I have read by this author. Shades of Stephanie Plum, was my 1st impression, with two (2?!) understanding men vying for Dev's charms (and a decision), and an apparent nemesis. But the story moves along swiftly with plenty of things happening to keep the plot humming. Unfortunately, character development isn't one of those things. Issues are hinted at but the characters themselves are not particularly strong, maybe because there are so many of them? Poppy (and her friendship with Dev) and Boone, for example. It wasn't that there wasn't material to work with, like the cupcake contest contestants, or the Saturday Night friends, which almost all had potential, but there just wasn't time to do anything with them. That being said, if you want a jaunty excursion that doesn't last too long this should do it for you. The author juggles quite a number occurances and interactions and slaps a conclusion on at the end, which is kind of the definition of a cozy. Fans should enjoy this outing. I give it a 3 for its genre, although for my personal taste it was more of a 2.5. I wonder if I will ever win another giveaway? Kizzy Cutler is back in Shadow Bend after making her fortune in cupcakes. The hometown girl did well for herself and now she is sponsoring a cupcake bake-off to introduce her next big flavor. Of course, Dev Sinclair, Poppy Kincaid, Ronni, and Boone are both excited and worried about how it will affect the sleepy, little town...but, the business owners are hoping that the hoopla will drum up much needed business and it does! But, in the mix is the frightening attempts on Kizzy's life and the unfo Kizzy Cutler is back in Shadow Bend after making her fortune in cupcakes. The hometown girl did well for herself and now she is sponsoring a cupcake bake-off to introduce her next big flavor. Of course, Dev Sinclair, Poppy Kincaid, Ronni, and Boone are both excited and worried about how it will affect the sleepy, little town...but, the business owners are hoping that the hoopla will drum up much needed business and it does! But, in the mix is the frightening attempts on Kizzy's life and the unfortunate murder of her look-alike assistant. Now, Dev and Chief Kincaid are sniffing around for clues. Dev has some vested interest in exposing the murderer and she carefully listens to the gossip in town. In her trademark way, Dev puts all the pieces together and alerts the Chief to her verifiable suspicions. Of course, we get more of Dev's love life dilemma with hunky Jake and gorgeous Dr. Noah, but wait!...there's a new love interest in town to tempt her. Newly installed fire chief, Coop is vying for her attention, too. Female lead (29yo woman) goes by the name Devereaux and her cohorts are Poppy, Winnie, Ronni, Harlee, and Kizzy. "We met to gripe about our problems, and although an occasional Hail Mary might be muttered under our breath, no one brought rosary beads or dropped to their knees - unless they fell off their stiletto heels." The first paragraph in the book is a dead giveaway that poor grammar is ahead, because we don't collectively mutter under our breath. Also, it's extraordinarily unl Female lead (29yo woman) goes by the name Devereaux and her cohorts are Poppy, Winnie, Ronni, Harlee, and Kizzy. Also, it's extraordinarily unlikely that a group of women would meet - for prayer or otherwise - and that any of them would be wearing stiletto heels for the gab session. Page 6 brings me the scene of an septuagenarian wearing a "white vinyl minidress with a cutout midriff" that had "metal chains that fastened the bodice to the skirt" that "rattled every time she took a deep breath" and then she "did a little go-go dance in her white patent leather knee-high boots." Perhaps you might call that a creative character, but I call it a reason not to read any further. This image bothers me so much that I'm going to read some historical nonfiction for a bit to clean out my brain before I fall asleep. After 22 years as a practicing school psychologist, she's happiest sitting in her scree porch reading. However, when the weather turns too cold, she's willing to leave the Midwest to cruise the sunny Caribbean. Denise is an animal lover, but her home is currently furless, since her kitty of 20 years passed awa Denise Swanson lives in rural Illinois with her husband, classical composer David Stybr.